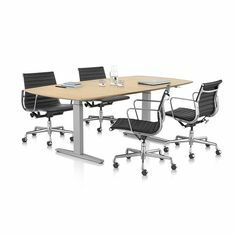 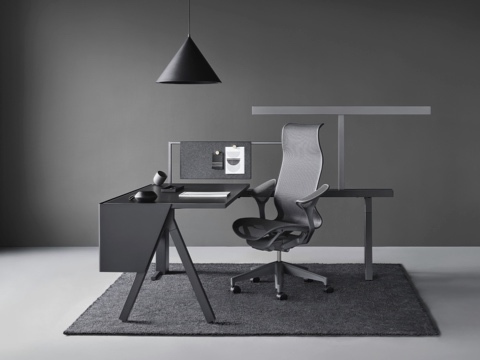 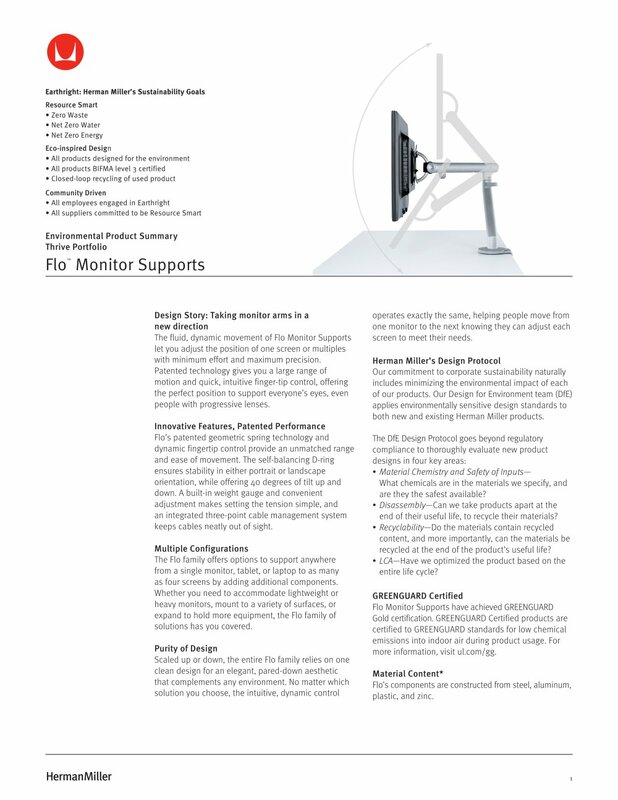 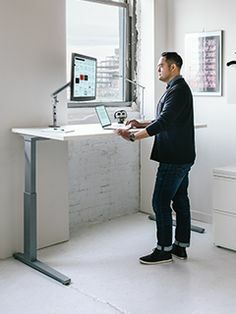 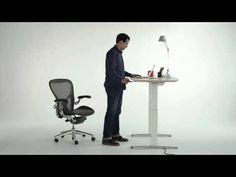 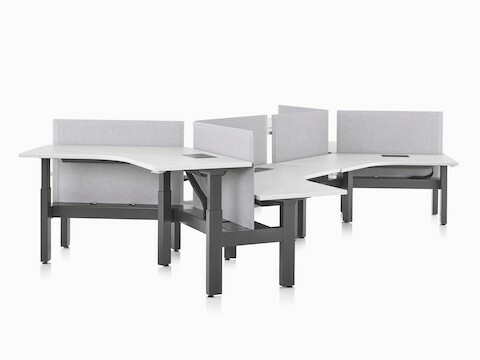 A Renew Sit-to-Stand Table integrated into a cluster of four workpoints with black Aeron office chairs. 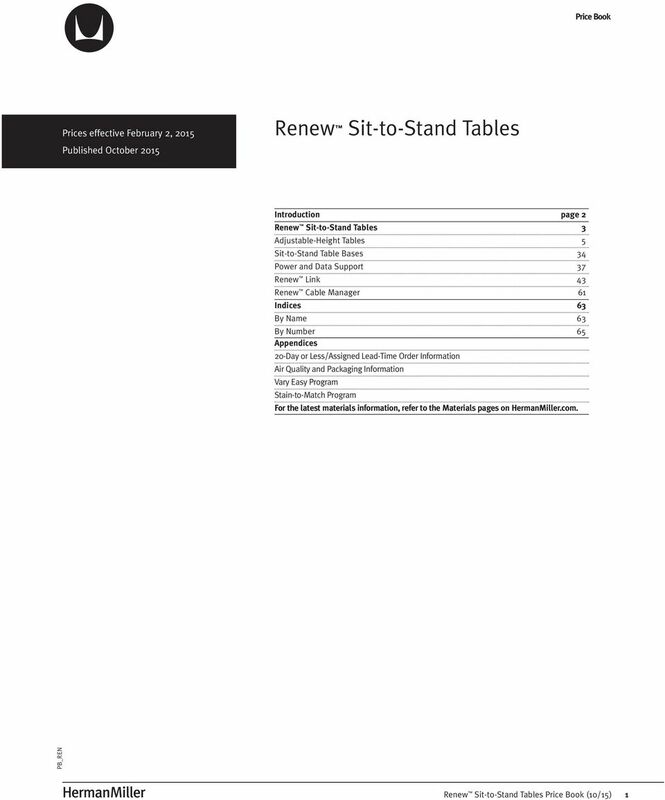 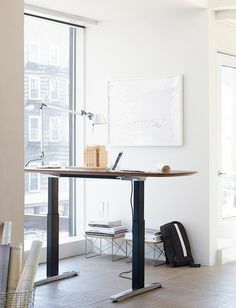 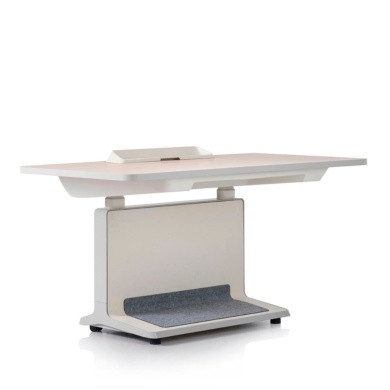 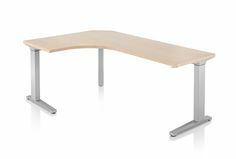 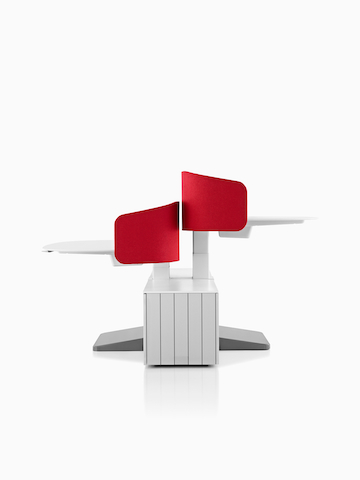 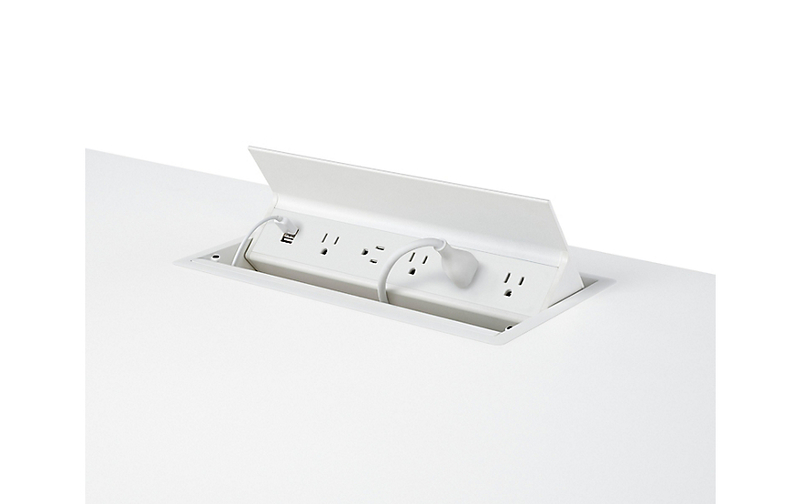 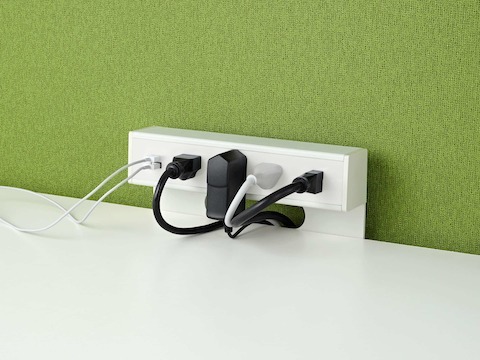 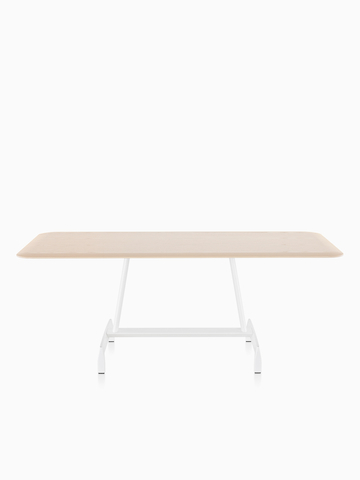 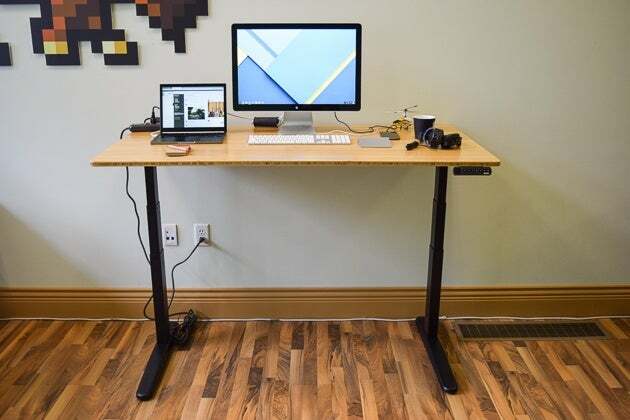 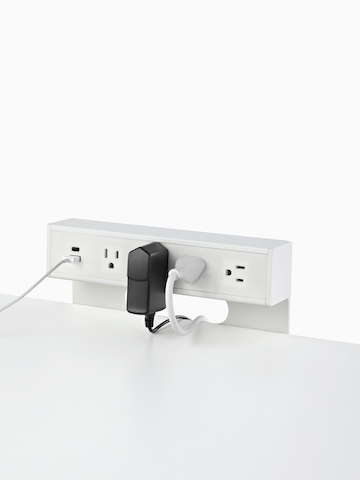 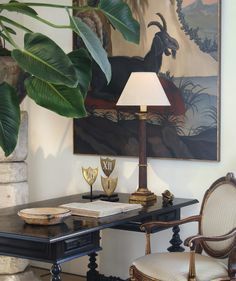 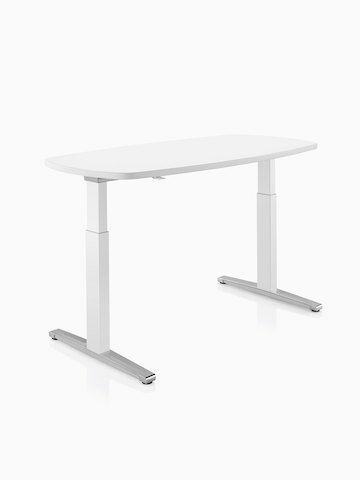 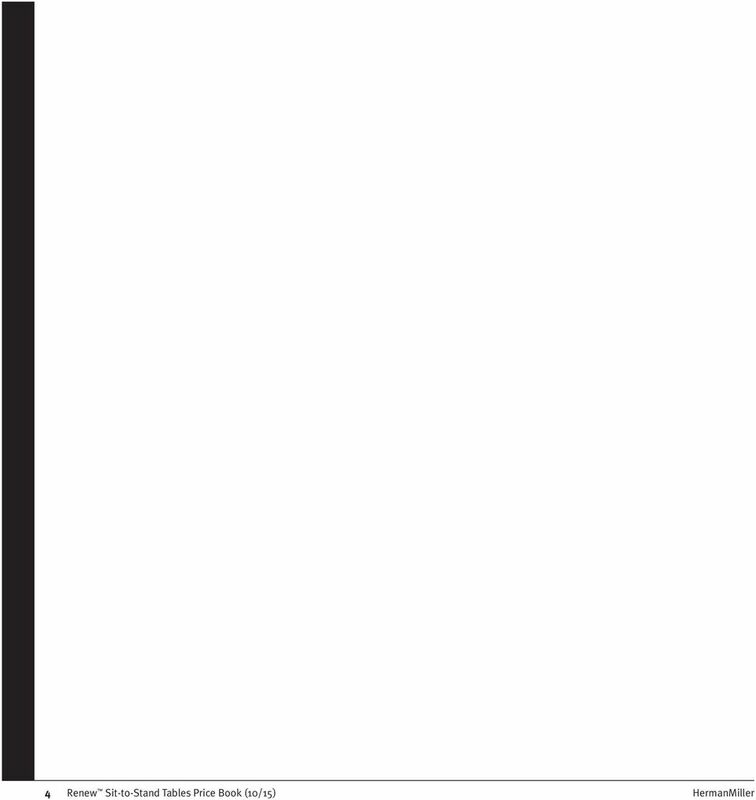 A rectangular Renew Sit-to-Stand Table. 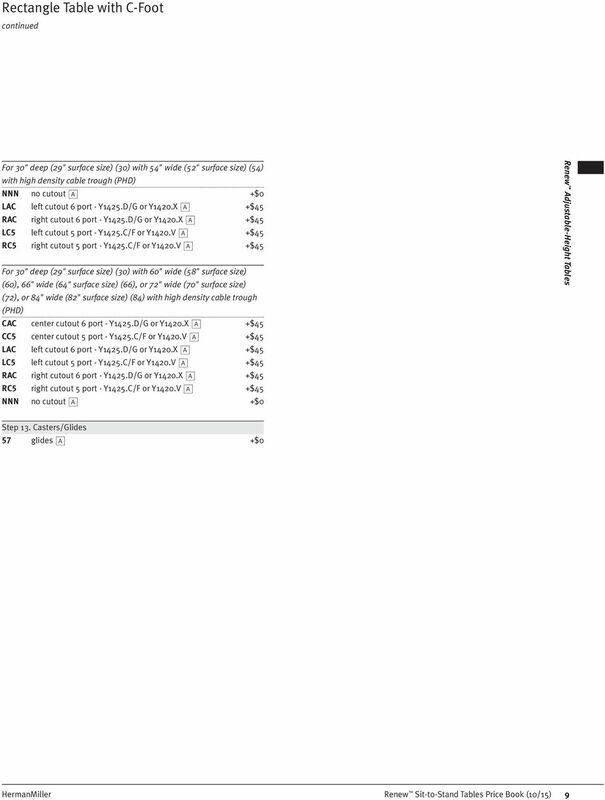 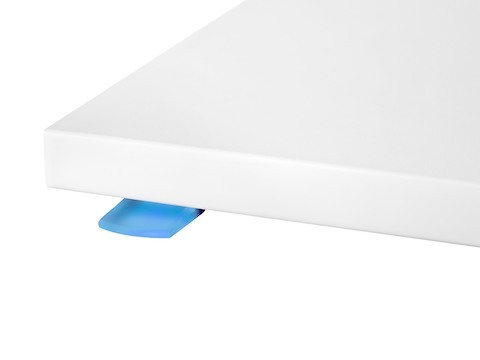 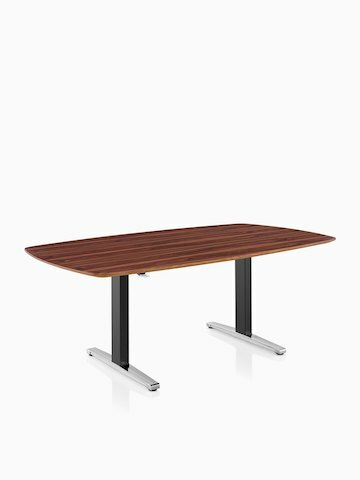 thermoplastic edge, veneer top and edge, or painted Formcoat top and edge. 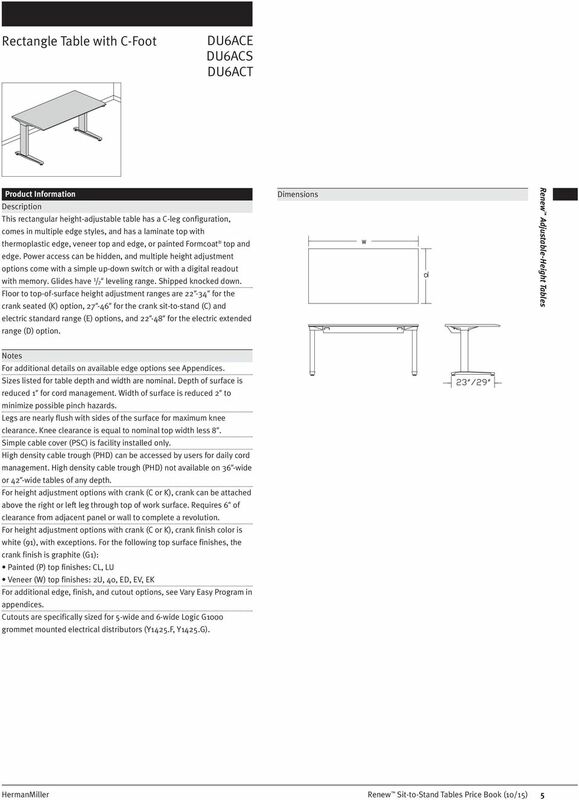 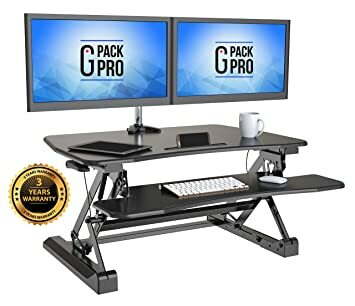 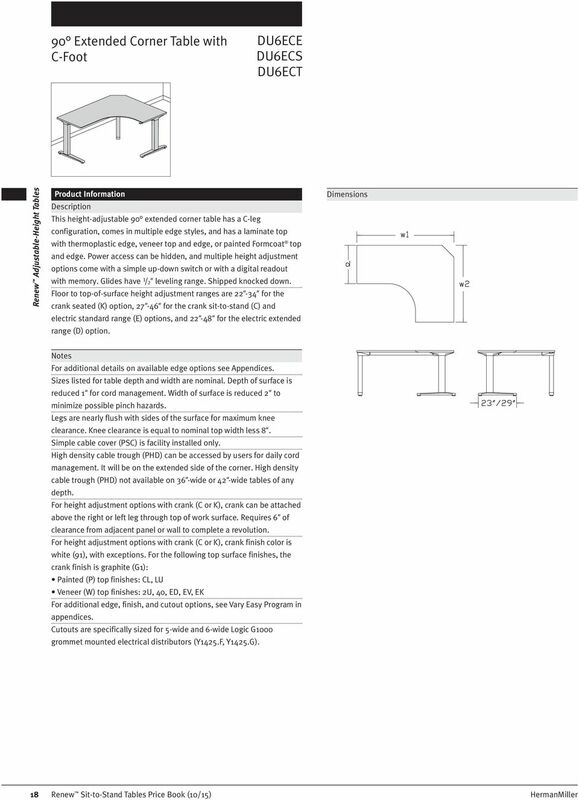 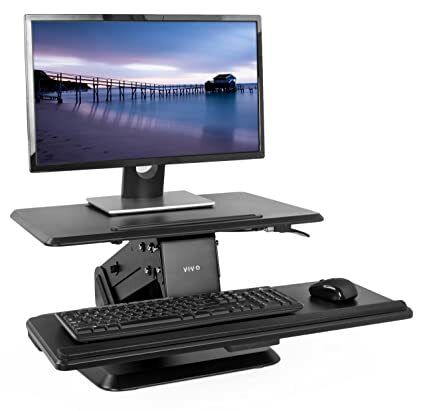 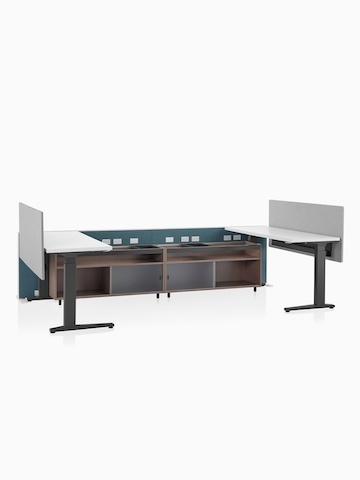 Two Canvas Channel workstations with lower storage and Motia Sit-to-Stand Tables. 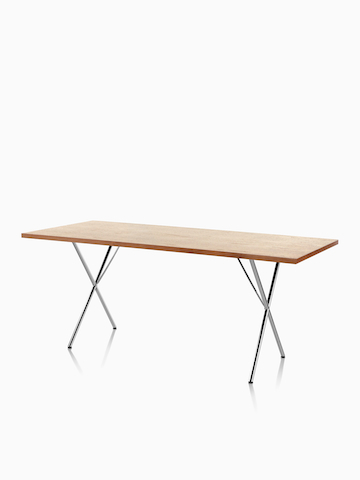 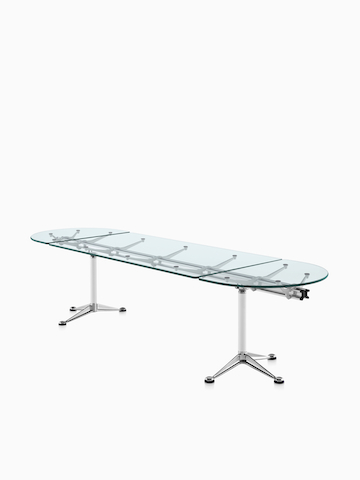 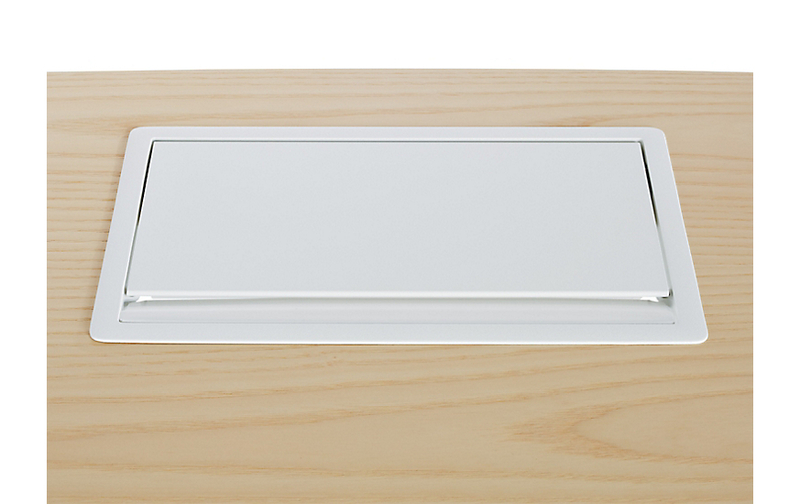 A rectangular AGL conference table. 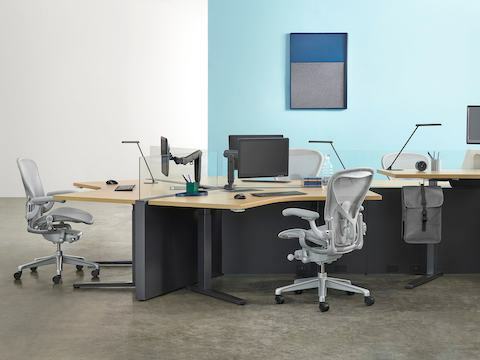 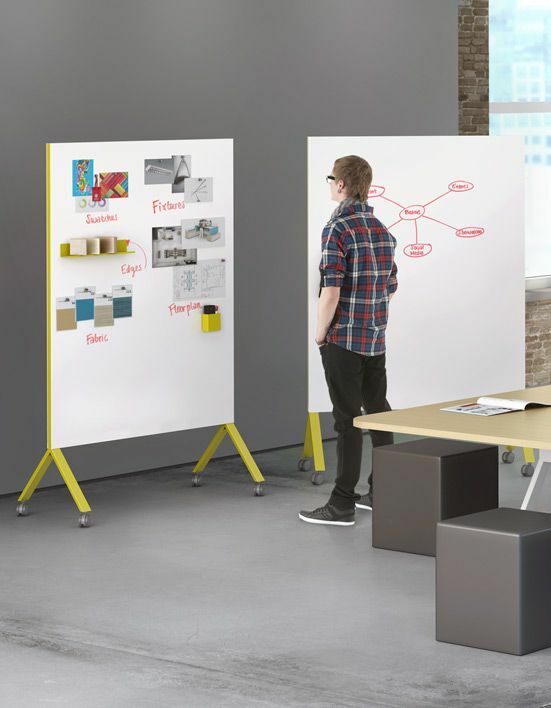 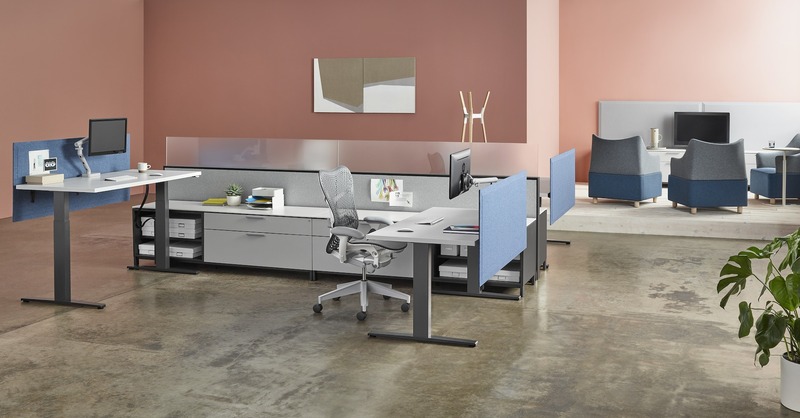 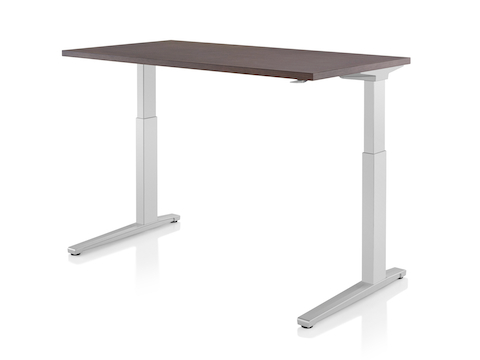 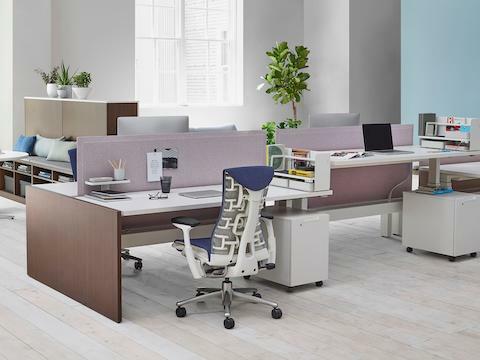 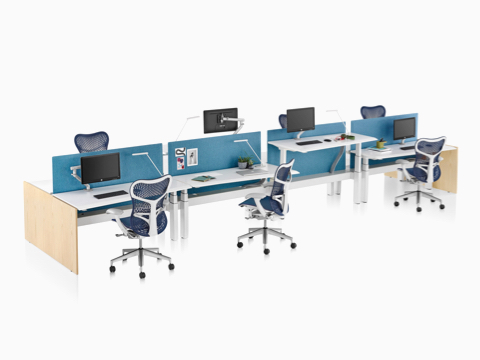 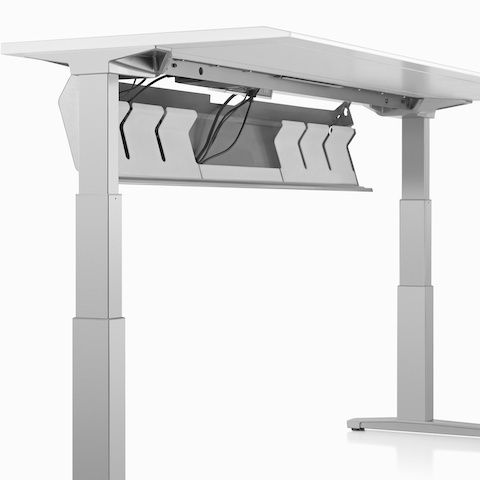 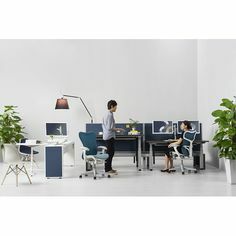 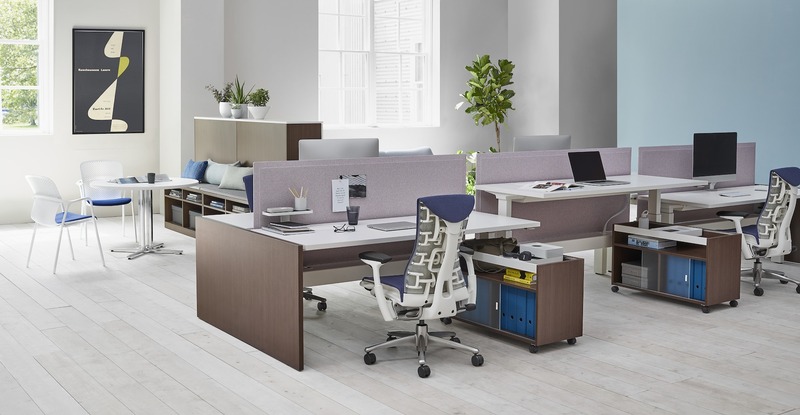 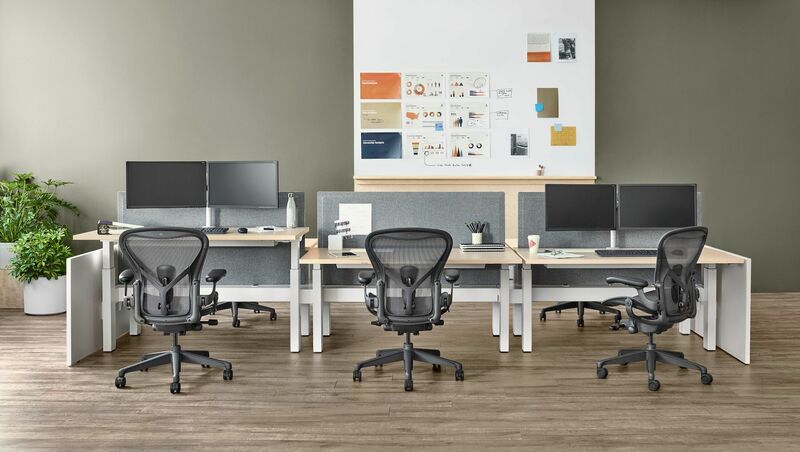 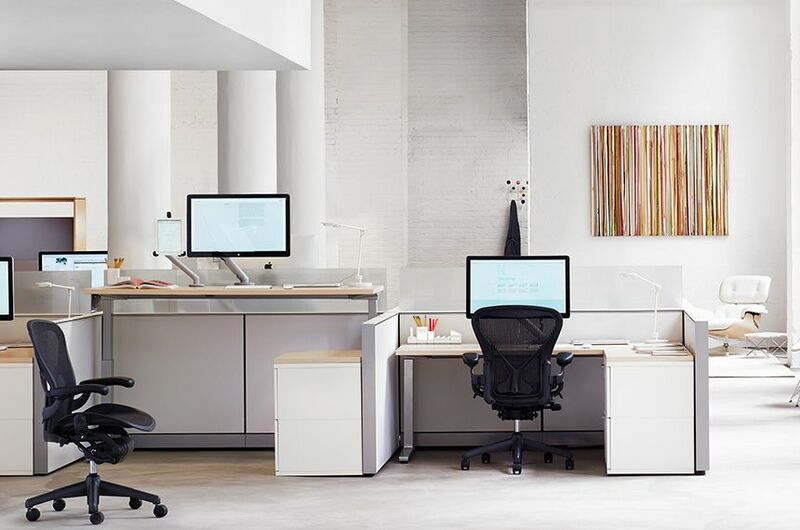 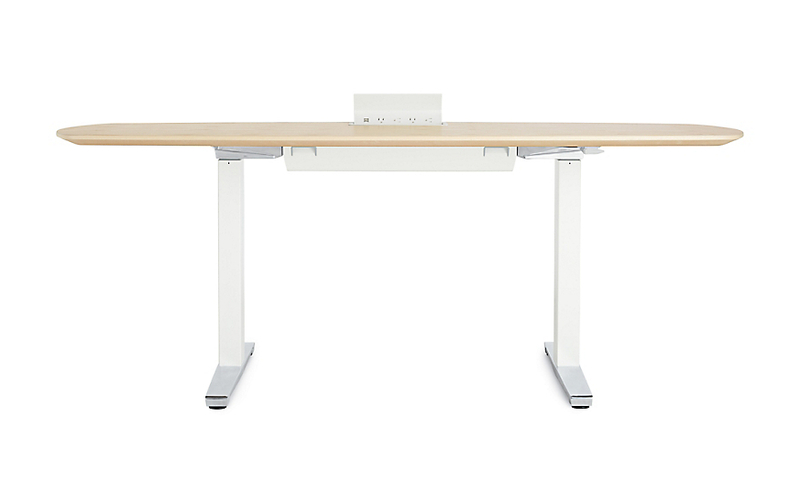 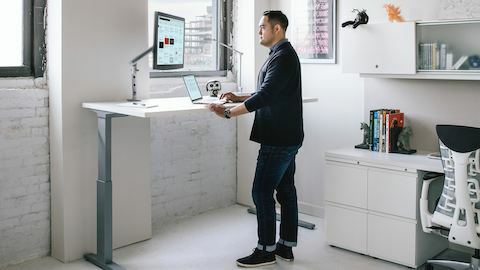 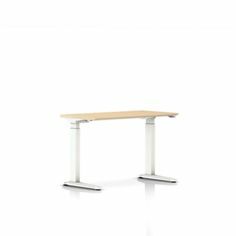 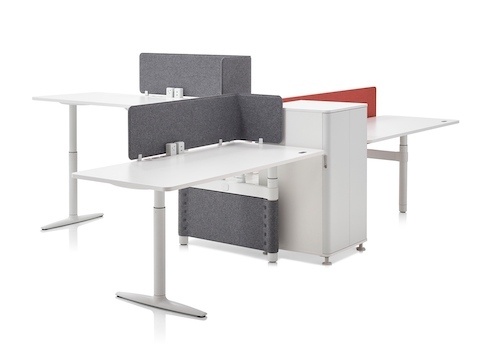 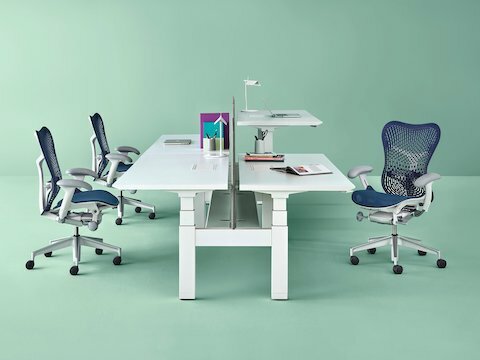 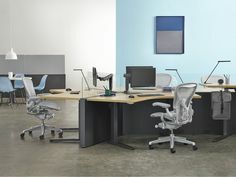 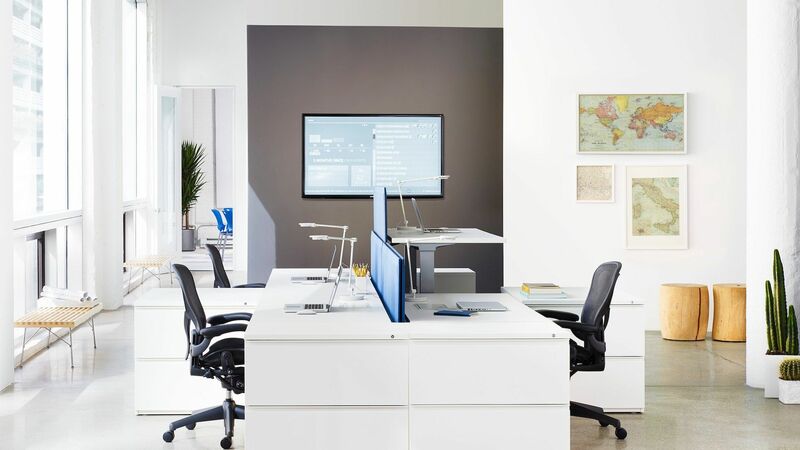 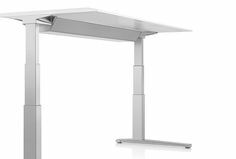 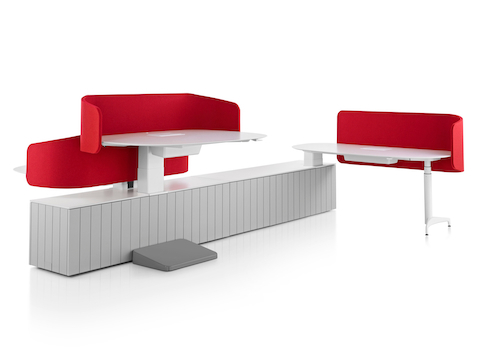 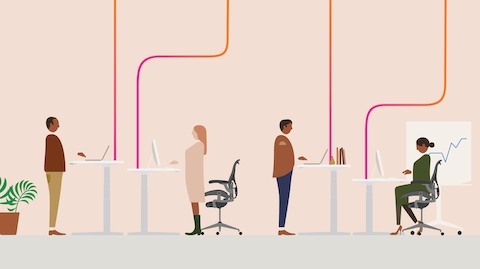 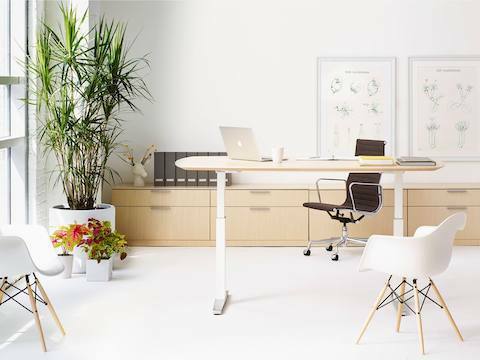 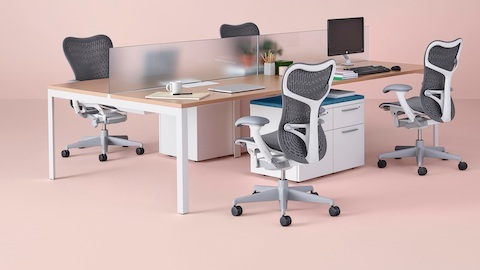 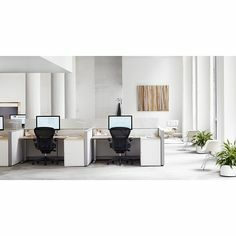 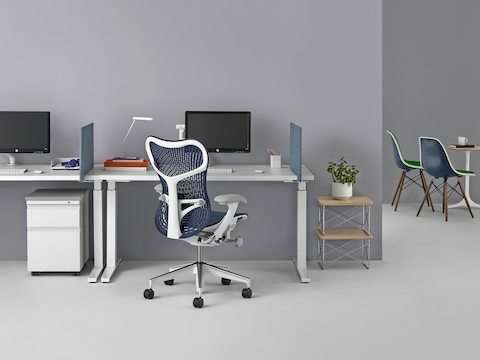 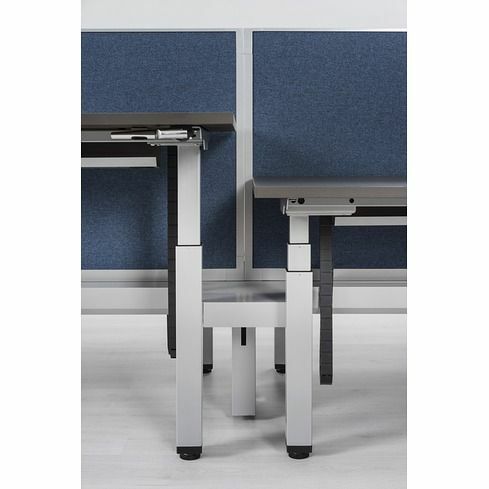 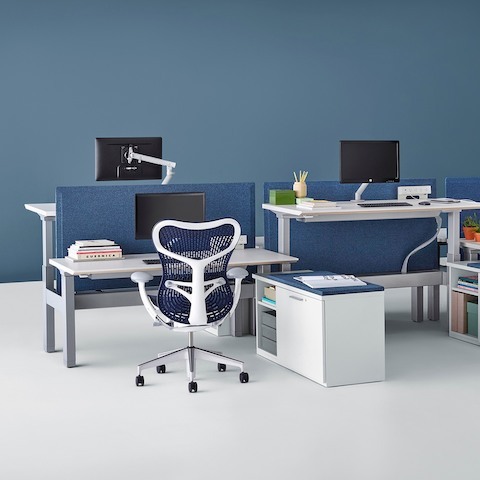 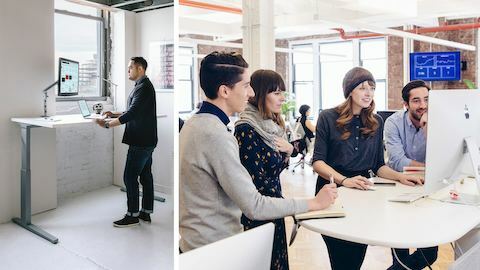 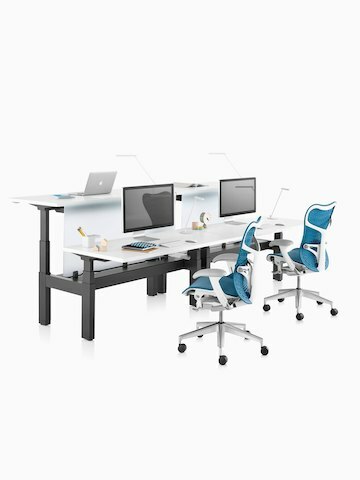 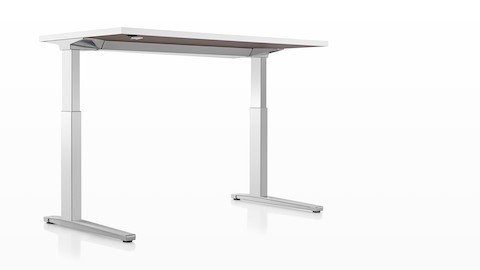 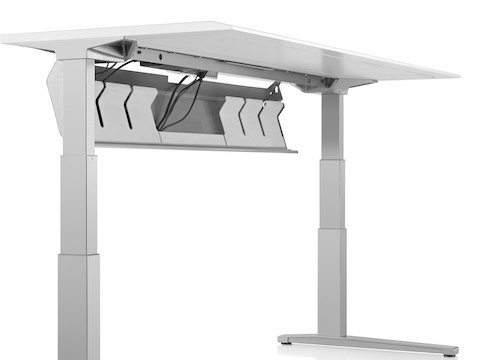 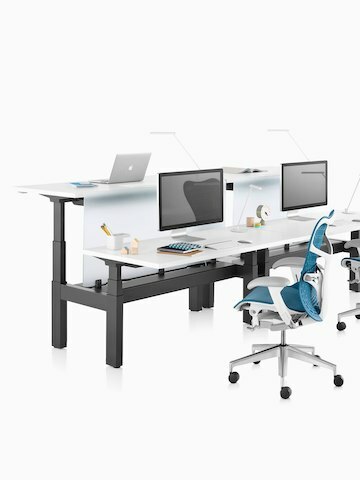 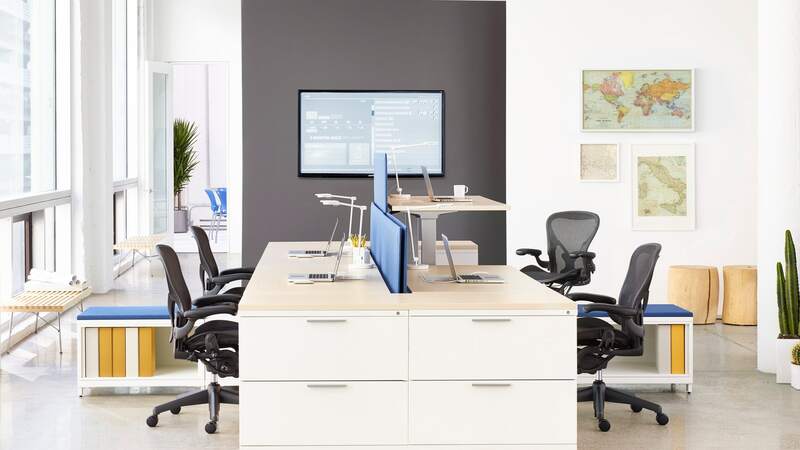 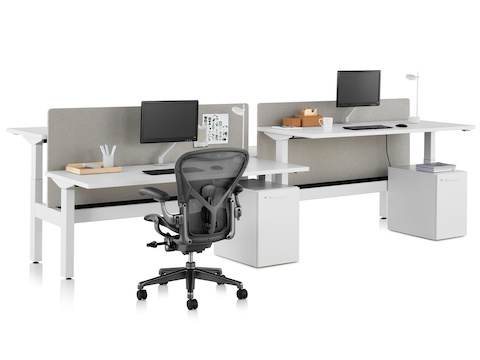 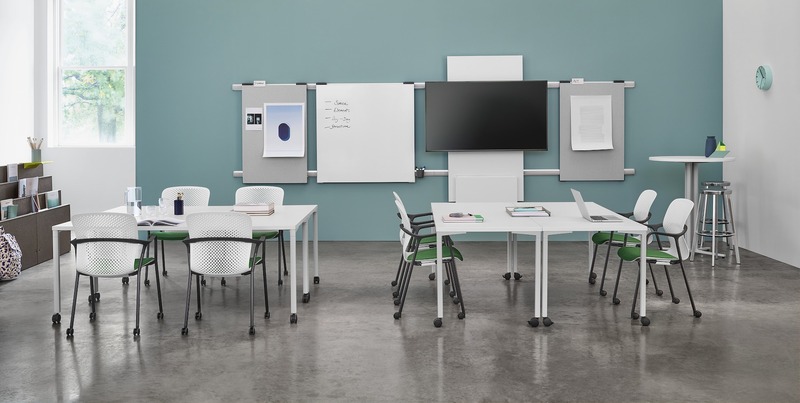 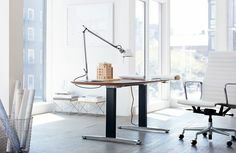 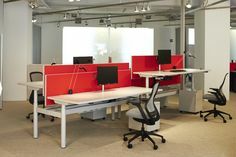 A cluster of three Atlas Office Landscape height-adjustable workstations designed for collaboration.